Electric car technology is about 15 years behind where it should be. There’s something that’s always been troubling about hybrid cars. Is it the frugal fuel use? Is it the blind spots? Is it the way they look? Unfortunately it’s none of these things, least of all the awesome gas mileage. Hybrid cars are holding back the automobile industry from developing truly new and innovative technology. It sounds harsh, but let’s take a look at what makes a hybrid a hybrid. Take a mid-sized sedan and power it with a fully electric motor. It'll work fine, but only for a short while. So how is it supposed to last longer? Just slap on an electric generator. What does that use? Gasoline. Oh wait, now they have diesel engines combined with the electric motors, so that’s even more efficient on fuel. What’s impressive about a car company like Tesla is you can’t take an electric generator from your dad’s garage or construction site, glue it to an electric motor from your own home and achieve the same result. Okay, so the electric motor found in a hybrid is a bit more complex than that, what with its rare Earthly materials. So why not develop that? The problem with hybrids is they are nothing new. A hybrid is taking old technology and combining it, and people buy into it because they believe it’s helping the environment. Truly, if everyone drove hybrids the Earth would be a lot cleaner. However, that will never happen and when the hybrid came out people had two choices: They could either wait for electric vehicle technology to evolve to where it is now, or choose the quick, short-term solution. Unfortunately people picked the latter, dumbing down the market. Now, instead of car companies investing money into something like all-electric vehicles, or making solar power affordable, or even something radical like nuclear power, they are concentrating efforts on a gimmick. In fact, another reason the electric vehicle has been slower to develop is that Tesla is essentially all on its own. Only recently have other big carmakers decided to get on the EV train. We hate to crap specifically on the Toyota Prius, but remember the "Top Gear" controversy of how toxic it is to build a battery for a Prius? 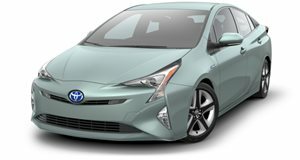 Of course the show has a reputation for bending the facts, but it has been proven that making just one battery for a Prius is extraordinarily taxing on the environment, between shipping it to various factories and the mining involved. It would have been pretty great to see how far electric vehicles could have come by now. Auto manufacturers had to know that electric vehicles were the future. There’s no way around it, but it’s not a short-term solution. It is long-term and therefore scary and expensive. There’s no immediate payoff. That’s what the hybrid represents: a lack of faith.